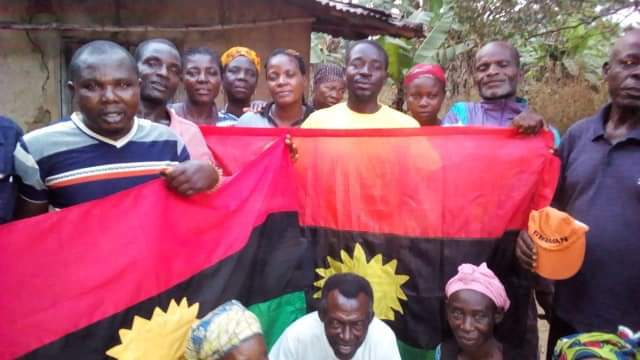 IPOB remains the largest family, group, and organization globally and is the best group individual should belong. 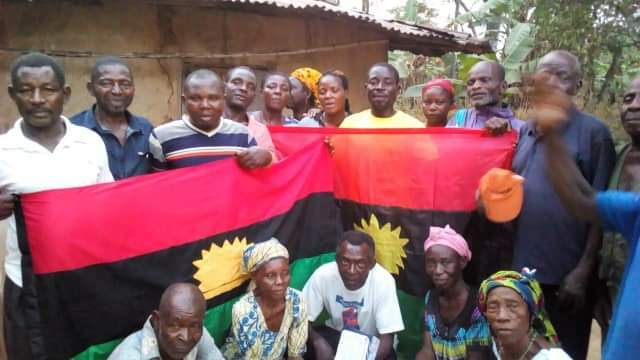 It was indeed a remarkable and great opportunity sitting in the midst of IPOB Nenwe zonal meeting for the year 2019, the meeting was held today in Emudo Nenwe Aninri Enugu province of Biafra land with an agenda "Election boycott ", these gallant men and women ranging from 25years to 80years of age has once again gathered today, to reaffirm their commitment that they will be no Election in Nenwe and Aninri in general. These time around they have chosen to "Sit @Home", no going to farm or market that day because it's a day to prove to murderous Islamic government of Nigeria that power has returned back to the people, as Biafra land will be completely and totally shut down. Reasons were given by our people why they have chosen to boycott the elections are: for the past 16th Years Ike Ekweremadu which happens to come from Aninri has been in the Senate what has he done for them, no motorable road,no light, no drinking water, why than should they vote if their son cannot give them these things is it a Fulani man that will give them, one of the elders asked. Our mothers also lamented that Fulani herdsmen have destroyed all their crops in the farm, defile our women and raped their daughters, on each occasion the complaint to the governor without any action taken by him, why then should the vote for a government who cannot protect the life and properties of her citizens. IPOB Nenwe also uses these medium to call on all Norwegians to "Sit @Home" on election day if they want to stay alive,for how long will politicians continue to deceive you with wrappers and a cup of rice, the time to liberate themselves and have a better workable nation is now, as power lies in their hands to boycott the already rigged fraudulent elections, election boycott is irreversible and Biafra Restoration remains Sacrosanct to us. I must say a very big thank you to Nenwe IPOB zone, for there formidability and tenaciousness towards this noble call, keep it up for I can see a light at the end of the tunnel.